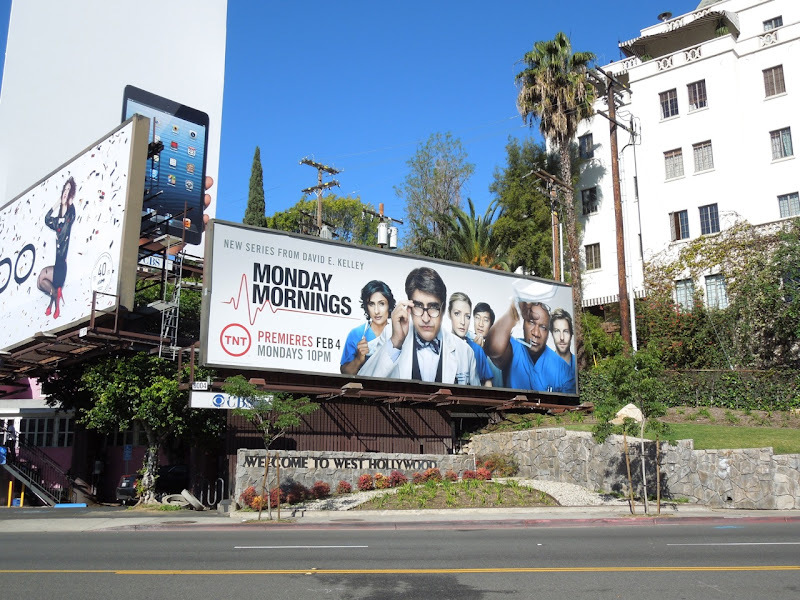 You couldn't ask for a better way to start the week than this billboard for TNT's new medical drama, Monday Mornings. 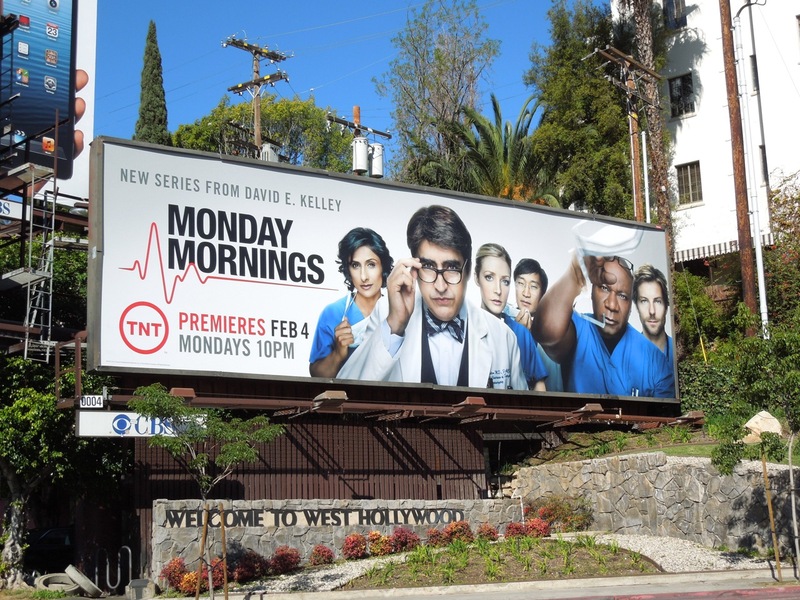 From the mind of David E. Kelly, the guy who brought you the likes of Chicago Hope, Ally McBeal, The Practice and Doogie Howser, M.D., can his latest brain child live up to his past glories (or will it be another Wonder Woman pilot flop). 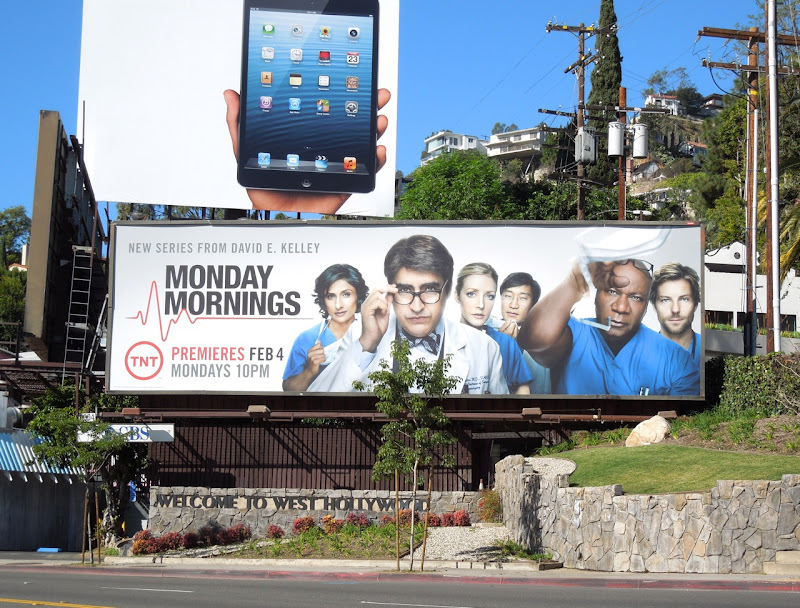 Alfred Molina, Ving Rhames and Jamie Bamber are just some of the names on call as doctors and surgeons at Chelsea General, where every Monday the staff gather with their peers to review complications and be judged on errors in patient care. 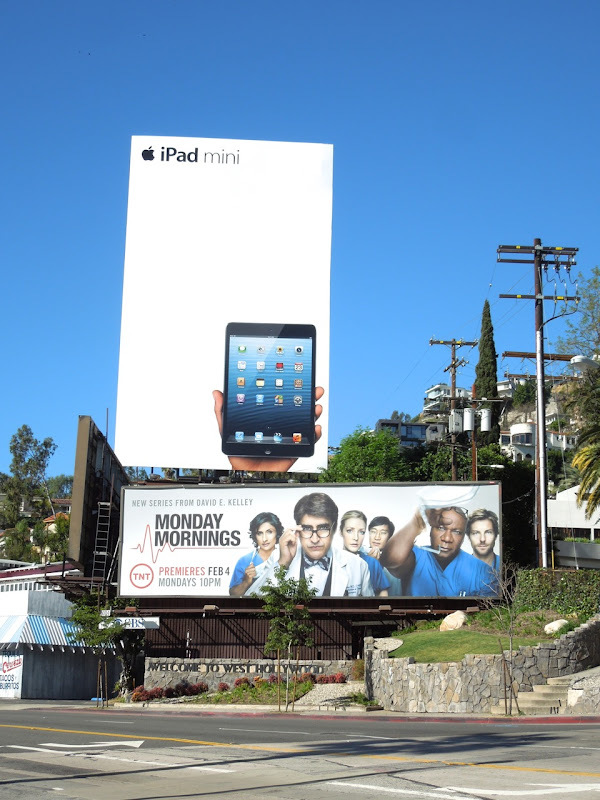 This series premiere billboard was snapped along Sunset Boulevard beside the Chateau Marmont Hotel on January 31, 2013.